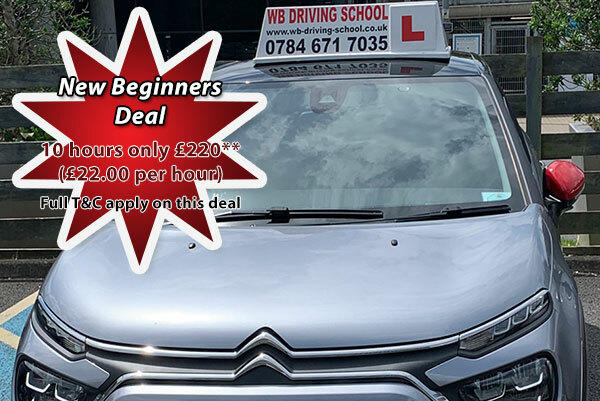 Searching for a driving instructor in Ashford, Folkestone or Hythe Kent? When someone visits our website www.wb-driving-school.co.uk we collect standard internet log information and details of visitor behaviour patterns. We do this to find out things such as the number of visitors to the various parts of the site. We collect this information in a way which does not identify anyone. We do not make any attempt to find out the identities of those visiting our website. We will not associate any data gathered from this website with any personally identifying information from any source. If we do want to collect personally identifiable information through our website, we will inform you about this. We will make it clear when we collect personal information and will explain what we intend to do with it. We only hold personal data about our pupils (name and address) in a paper based diary. We also hold pupil's telephone number on our mobile phone until they pass their driving test and then we remove their telephone number from the mobile phone. With consent, we take a photo when they pass their driving test and with their permission it is uploaded onto Facebook, Twitter, and our Website. At the end of each year the diary is replaced with a new one and the details of the previous year's pupils is destroyed. Most modern web browsers allow control of cookies through the browser settings, for example in Google Chrome you can disable 'third party' cookies ('Settings' > 'Under the Bonnet' > 'Block third-party cookies and site data'). To opt out of being tracked by Google Analytics across all websites you can install a browser add-in. Visit http://tools.google.com/dlpage/gaoptout.